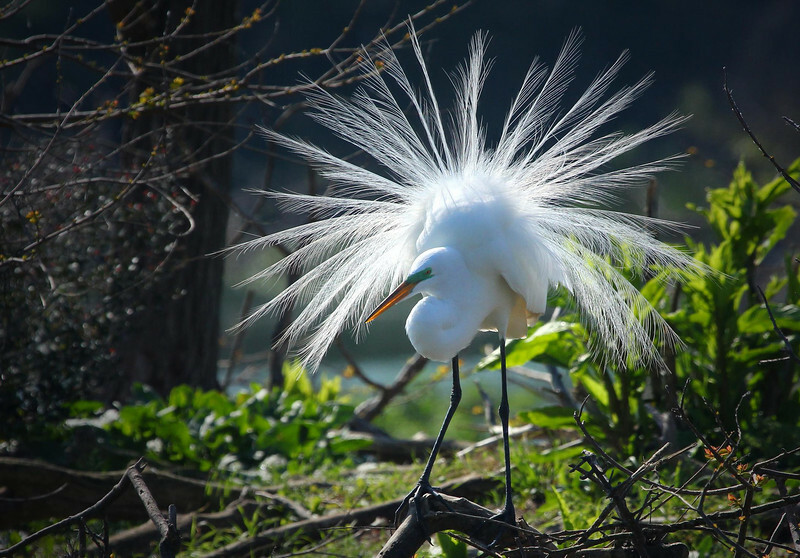 Great Egret in mating plumage. The bright green lores around the eyes and the long, wispy feathers are mating season characteristics. Nice shot. Thanks for the tip about the green around the eyes. Wondered about that. I'm new to birding, got a lot to learn.